WNT-Rotor's Lisa Brennauer has sprinted to victory in the Stage 4b of the Healthy Ageing Tour. The rider was the fastest of the breakaway duo and beat Anouska Koster in the finish line. 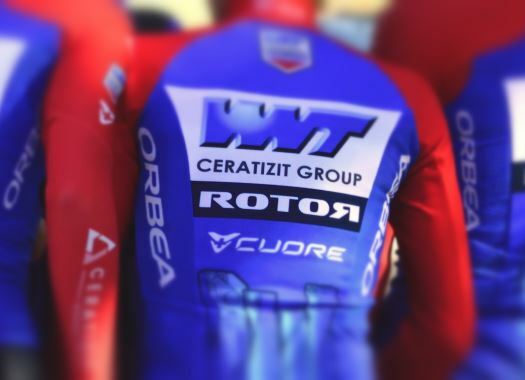 The second of the day's stages was 74.6 kilometres long between Wolvega and Heerenveen, finishing in a circuit that the riders had to go through three times. Brennauer attacked from the pack mainly to take one of the intermediate sprints and took Koster at her wheel, but when she saw that was building a considerable gap with the others, she kept going. The chaser duo that was formed by Boels-Dolmans' Jip van den Bos and Trek-Segafredo's Anna Plichta, crossed the finish line 33 seconds behind Bennauer, and Jolien D'Hoore was the fastest of the pack. Canyon-SRAM's Lisa Klein, who took the lead of the General Classification in the stage 4a after a strong performance in the Individual Time Trial, remained at the top of the overall standing. "From here I can keep going," she said. "It was a good time trial despite two small steering errors. "Obviously it is my goal now to also take the final victory. But the circumstances are tough here and it is certainly not a done deal yet."